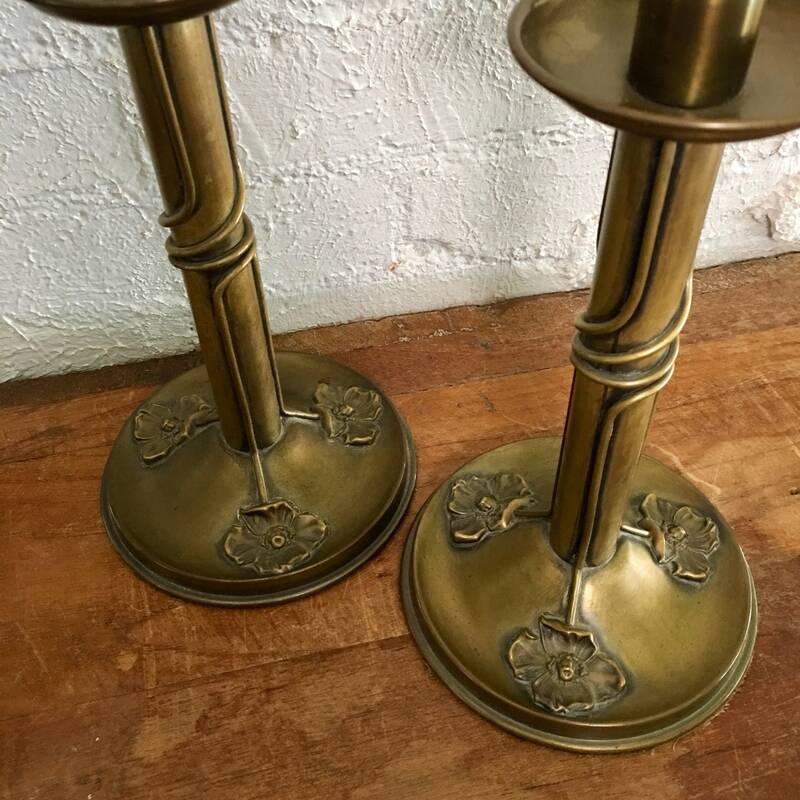 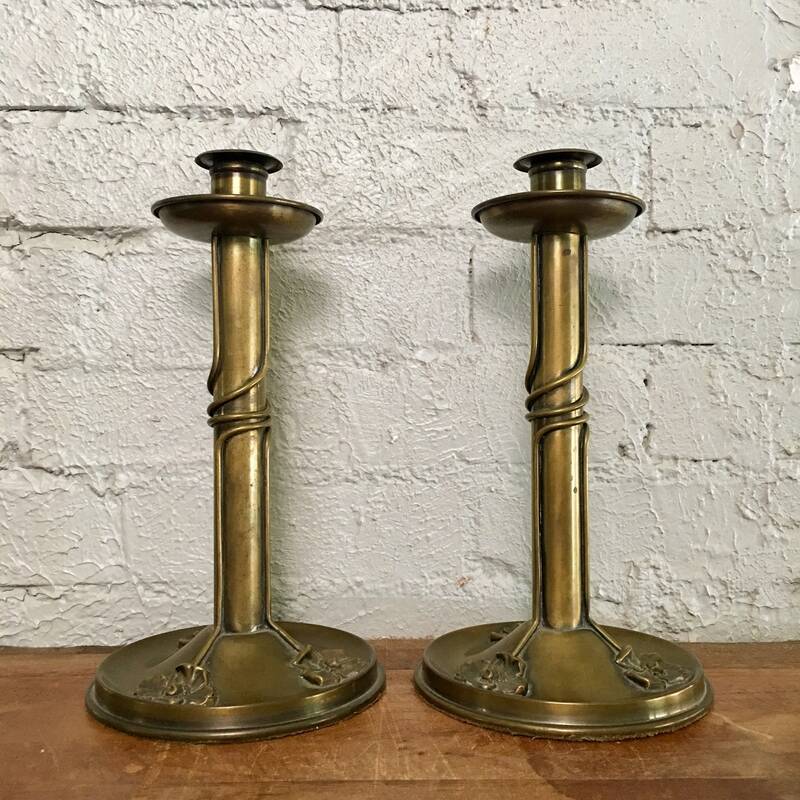 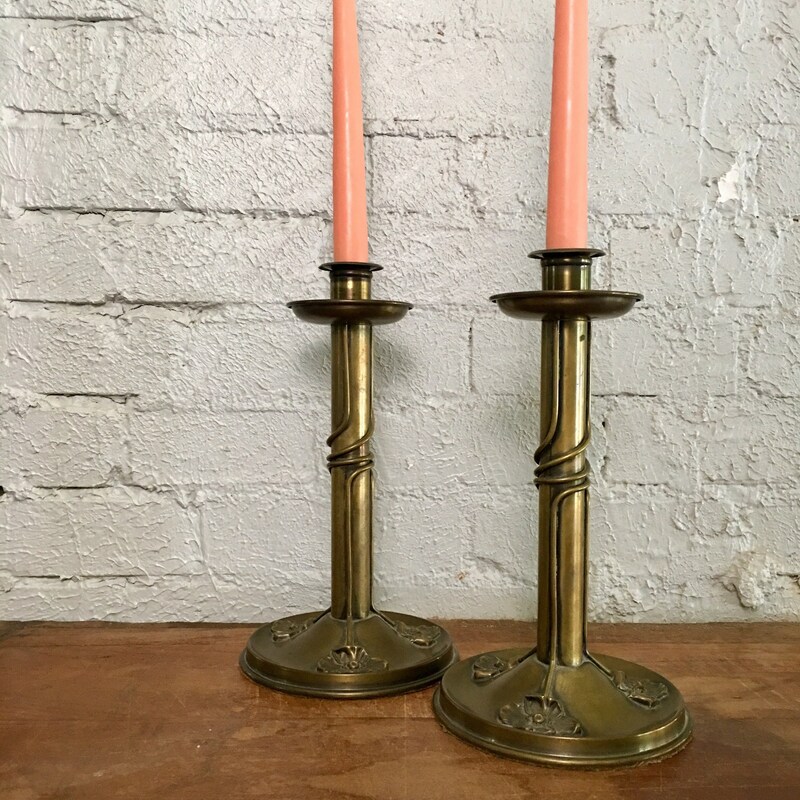 Vintage pair of brass candlesticks – are slightly tarnished and aged – only adding to their charm. 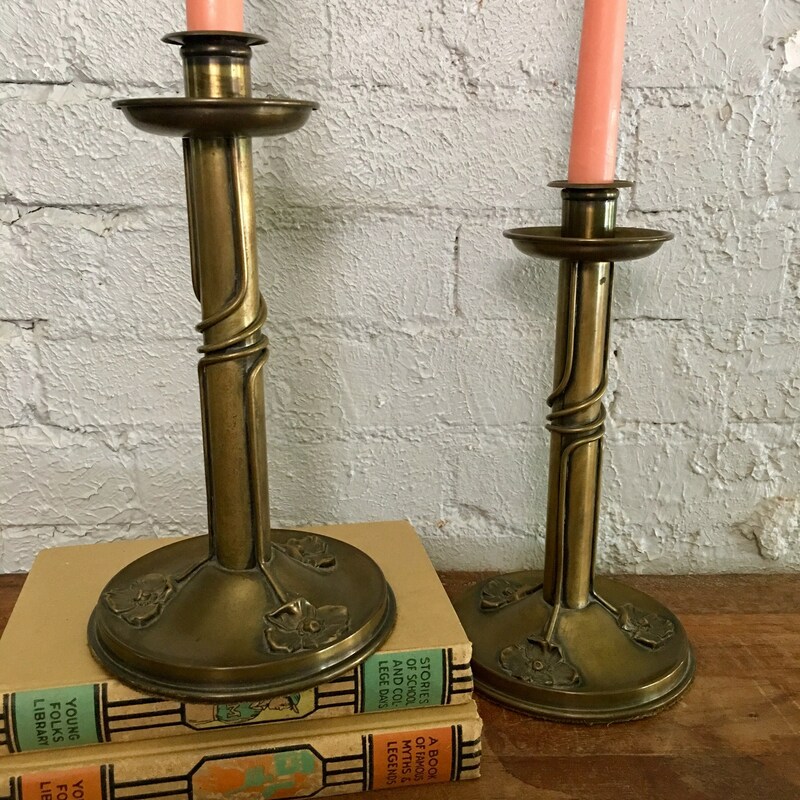 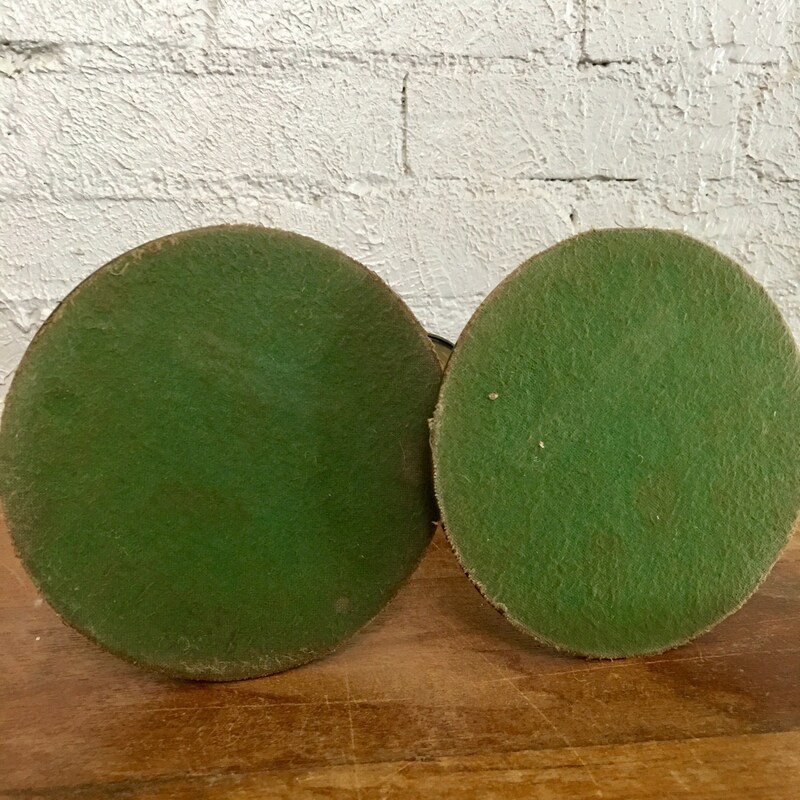 Art nouveau or art deco style with felted bottoms. 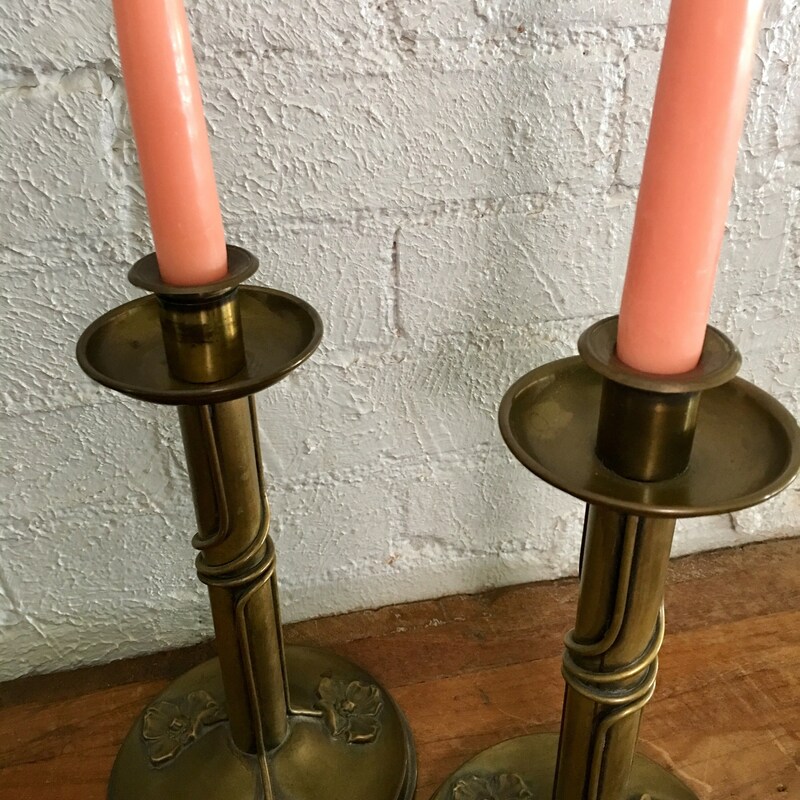 Made to fit regular taper candles. 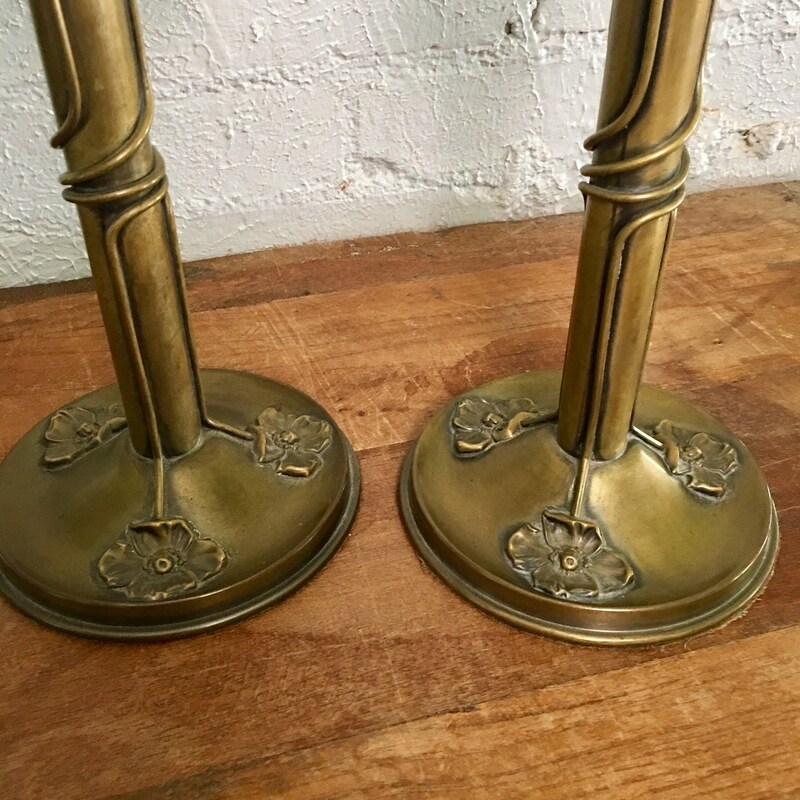 These would make a great wedding or anniversary gift and would fit into any table design. 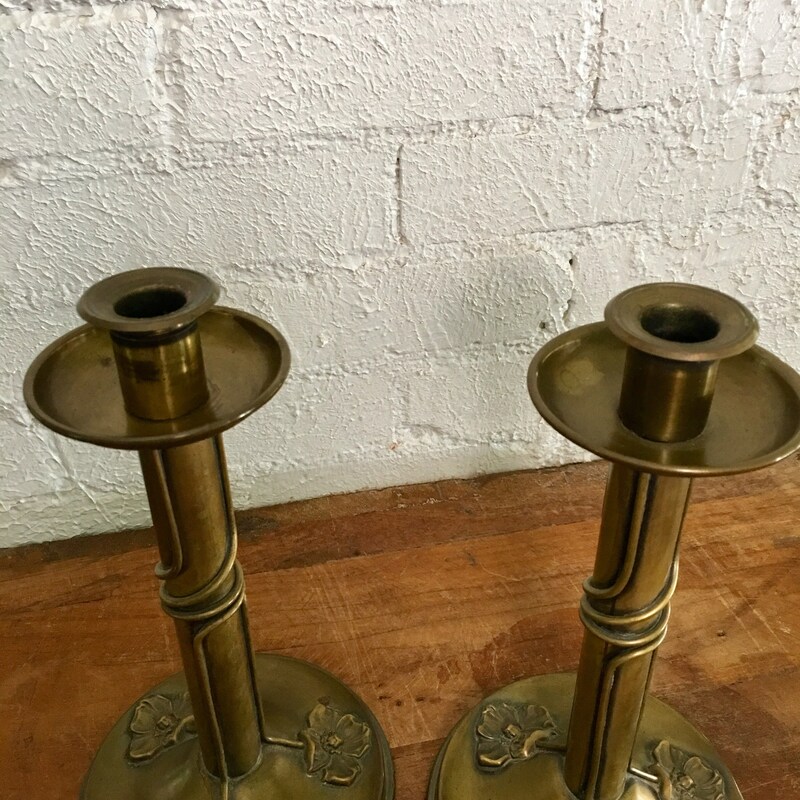 + Combined weight is 2 lb., 4 oz.